How do I set up new or custom categories? 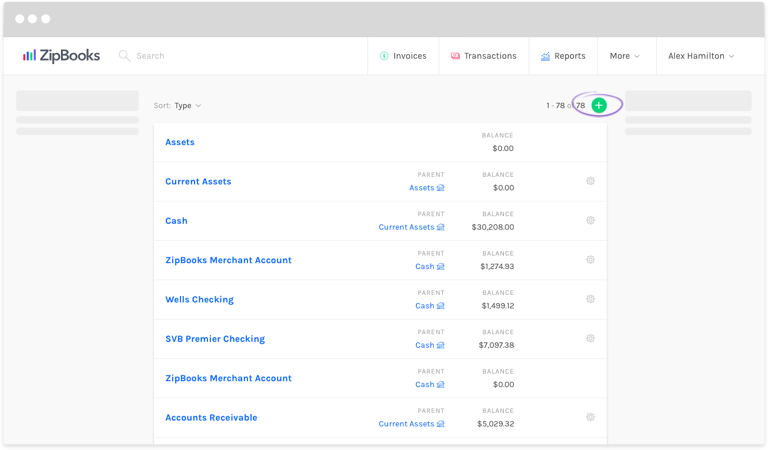 ZipBooks starts you out with smart default categories that help you see where your money is coming from, and where it’s going. But we also know that your business is as unique as you are, so we give you a way to create additional categories, specific to your business, so that you can get as accurate a picture as possible. Click on Categories under the blue Transactions heading. A list of existing categories will appear on your screen. Click on the round green ‘+‘ button toward the top right corner of the screen. An Edit Category window will slide in from the right. Put the name of your new category, and then choose the Parent Category from the dropdown list on the next line. A Parent Category is the overall category that your new category will fall under (for example, you have a parent category called Supplies, and then you create subcategories called Office Supplies, and Warehouse Supplies). Your new category will now appear in your list of categories! Let’s say that you have a photography business. 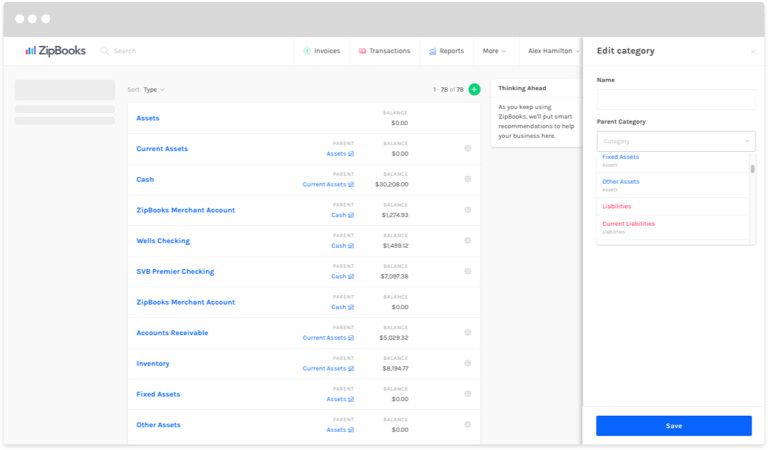 You have a category on ZipBooks called Equipment, but you’d like to break down your equipment expenses even further. In this case, you might create a category called Photography Equipment to keep track of camera and lens purchases, and one called Editing Equipment for keeping track of computer and software purchases. You have a picture framing business, but you also sell art prints. You have a category called Sales Revenue, but you’d like to specify even more. So you create a category called Framing Revenue, and another called Art Print Revenue. Now you can keep better track of where all your money is coming from, and where it’s all going!